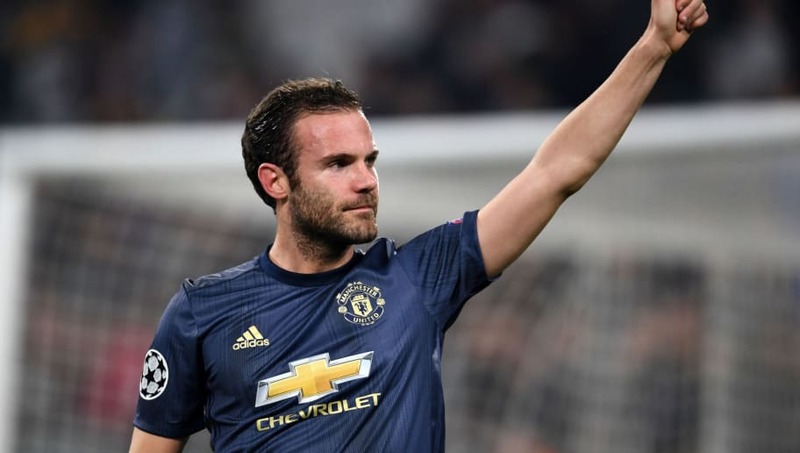 ​​Manchester United midfielder Juan Mata has joked about being a free-kick specialist and that maybe in future they can have a substitute just for it, after he equalised against ​Juventus in the Champions League. Mata scored a sumptuous free-kick in the 86th minute to level the scores with Juventus before they took the lead in the last minute thanks to aAlex Sandro own goal. The Spaniard had come on as a 79th minute substitute with the team trailing from a Cristiano Ronaldo goal, and the player joked that he hoped in future there can be a substitute just for free kicks. "Today was important, the 1-1, and after we scored again," Mata told BT Sport, according to ​Goal. "Maybe in the future, there is a substitute where you go, take the free-kick and go back to the bench. You never know. I have confidence in my free-kicks at the moment. I train a lot. After training I get the ball and try. The goalkeepers help me out too." "What a nice last five minutes," Mata said. "It is a very good night for us to get three points against Juventus in Italy. It is amazing! "They have fantastic players and are a top team. We come back to Manchester with three points and that is football! "The first half was not bad. It was quite even. They had chances but in the second half it was a fantastic goal from Cristiano Ronaldo. They had a few clear chances after that to win the game but they didn't and we came back. It is a very big step in the group." It remains to be seen if United can take this form and continue winning in their Premier League campaign as well.